EYH has this week launched a new brand awareness campaign, ‘Turn Lives Around’, with creative by WCRS, production from Black Dog Films, and media provided by Jack Agency. 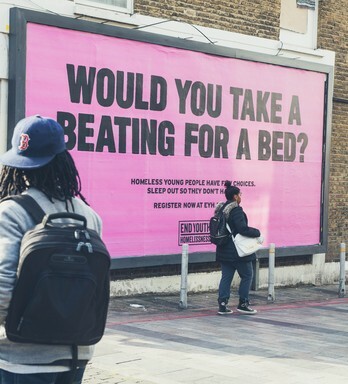 The campaign posters depict homeless young people asleep in unsafe places. However, when the pictures are inverted you can see our young people in heroic poses, with their sleeping bags becoming superheroes’ capes billowing in flight. 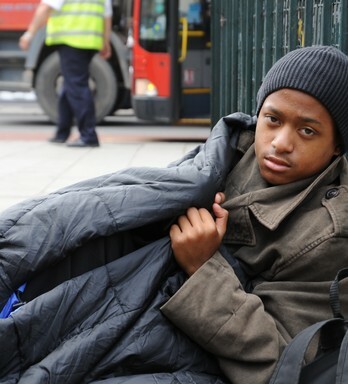 The campaign aims to change the public’s perceptions of youth homelessness. 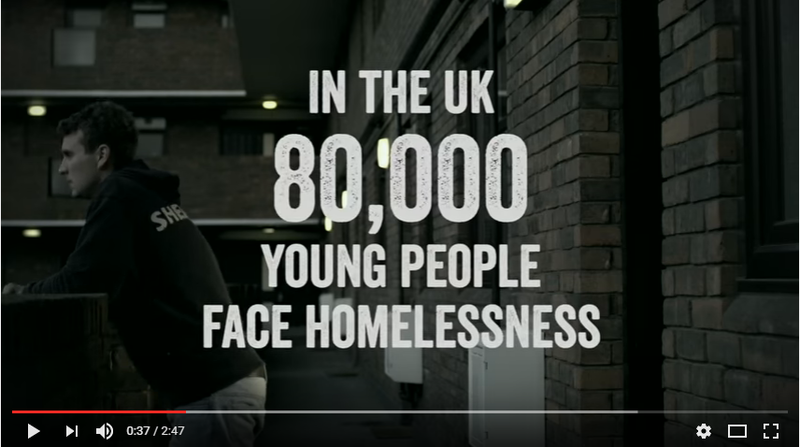 Homeless young people have the potential to beat the odds and turn their lives around, if they get the right help at the right time. EYH want to stress that despite incredibly difficult childhoods, homeless young people can still build successful futures. The clever use of photography, from acclaimed fashion and advertising photographer Dan Medhurst, presents homeless young people as a message of hope. 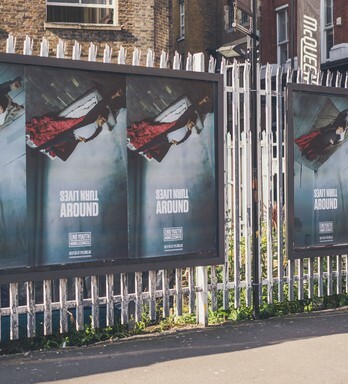 The posters will appear at 100 sites across the United Kingdom – everywhere from London to Bristol, Cardiff to Edinburgh – kindly donated by Creative Out-of-Home agency Jack. The campaign will run from 7th May 2018 to 21st May 2018. 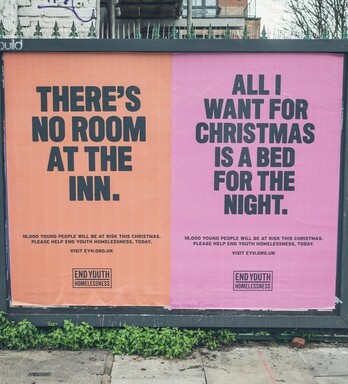 It isn’t often you see communications from homelessness charities with messages of hope. They usually focus on the considerable negatives of life on the streets. What’s great about End Youth Homelessness is the end to end support their Member charities provide - from healthcare to housing. This striking poster shows how they help turns lives around- a person asleep on the ground, when viewed from another angle, becomes a far more heroic figure. 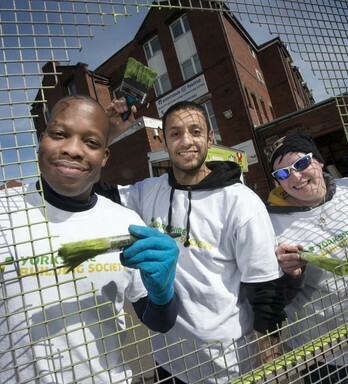 It’s a simple way of bringing to life how we get young people out of homelessness to fully realise their potential. 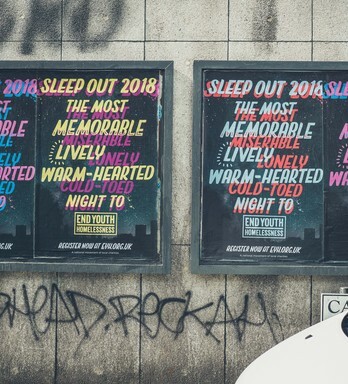 We’re so proud to once again be supporting End Youth Homelessness and helping to spread the message of hope across the UK streets. We believe that EYH can truly turn young lives around, going a long way to assist vulnerable young adults who find themselves in highly difficult circumstances. 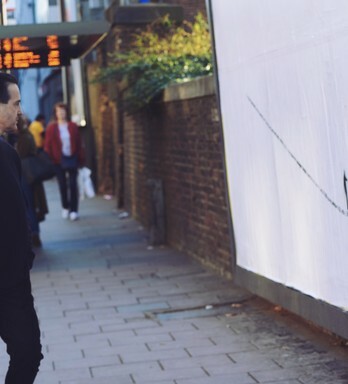 We’re especially pleased that this year's outdoor campaign carries such a strong message of hope, something truly refreshing within the charity sphere. 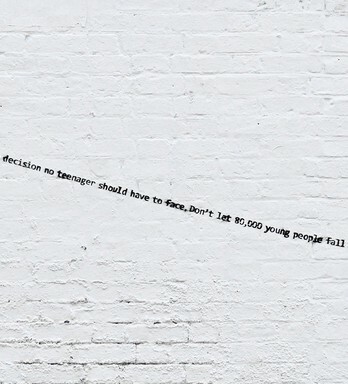 When WCRS and EYH came to us with this campaign we were moved by its message of hope. 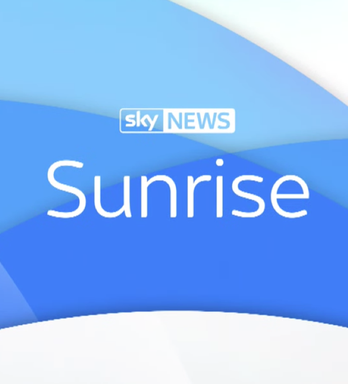 We hope that it can go some way to raising awareness of the incredible work that End Youth Homelessness and their member charities do every day.